Decided to spend an unforgettable month on exchange in Slovenia? Congratulations, you’ve made an excellent choice! Q: So, I’ve been accepted for an exchange in Slovenia, and the time is growing nearer and nearer. I think I’m about to panic. How do I know all is prepared? A: Don’t panic! Take a deep breath and check this short list of things you had to do. Done, all of that? Well, then there’s nothing to worry about! You’re prepared for the best exchange of your life! Q: VISA? Do I need it??? A: Students from the European Union, Canada, USA, Brazil and Japan do not need a visa for a shorter period of time. Students holding Lebanese, Taiwanese, Russian, Philipino, Indonesian, Ukrainian, Sudanese, Egyptian and some other passports need to obtain a visa from one of our Embassies or Consulates in your or neighboring country. Since Slovenia is the Schengen, you may apply for a SCHENGEN type of visa. Please make sure to apply for the visa 1-2 months in advance. 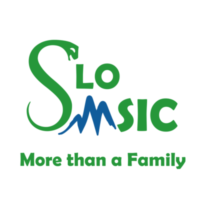 For all additional visa information, including Embassies location and visa application forms, please check the official web site of the Slovenian Ministry of Foreign Affairs. NOTE FOR VISA APPLICANTS: When you are confirmed from your national team that you are coming to Slovenia, we will send you the Official Invitation Letter, that is necessary for you to obtain a visa. In order to make your visa process smooth and fast, please be sure to owe a valid passport as soon as possible, because we need your data (Passport No. and Real Address as seen in passport), otherwise you might not be able to obtain a visa. A: As you read in the Exchange Conditions: letter or proof of enrollment and 3 photographs! Otherwise we can’t get you accommodation and student meals! Especially if you’re coming here on professional exchange, pack a white coat and a stethoscope as well. Other than that, whatever you think you will need… =) It can be a bit cold in Slovenia sometimes even in summer, and if you’re coming here during winter, it could get very cold! Keep that in mind when you’re packing clothes and make sure to bring a few warm pieces with you. Q: What language will I be speaking at work? 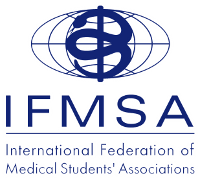 A: All doctors speak English well, and students too, so you should have no problems communicating if you speak English. The patients however will be speaking Slovenian – you may want to consider that when deciding what department to apply for in professional exchange. Q: How much will I have to work? A: It varies from department to department, but usually the clerkship is 8AM – 3PM or 4PM, Monday to Friday. Q: Can I get a few free days…? A: Ask your mentor when you arrive. But you should attend the clinic at least 80% of the duration of your clerkship. Q: 80%? Do I really have to? A: If your exchange is in summer months from July to September, in a Student Dormitory very close to the town centre. All incoming students live in the same dormitory, so you will never be lonely! In other months, you’ll be placed in a Slovenian student’s apartment. Q: What are the dormitory rooms like? A: You’ll share the room with one more student. They are fully equipped, with common toilets and shower, common rooms, kitchens, and Internet. Q: Can I get a one-person room? A: From Monday to Friday, and not before the 1st of the month. Keep that in mind if you are planning to arrive to Slovenia earlier! A: We’ll do our absolute best that you won’t. Q: Well, what will I eat then? A: You will get money for breakfast and lunch, as well as special student subventions for cheap meals in almost all restaurants in town. You will have a kitchen as well, if you’d like to try cooking something on your own. Q: I’m a vegetarian/vegan/don’t eat cooked food/pork/peanuts due to personal reasons. A: Most stores and restaurants in Slovenia offer vegetarian food. Just make sure to mention any special requirements to your contact person and they will do their best to make sure you won’t starve anyway. So what can I do in the afternoons and evenings, when I’m not working? Your contact person and the summer reception team will work their socks off for the entire month to prepare an interesting and fun program for afternoons and evenings. So don’t worry, you won’t be left alone (unless you really want to 🙁 )! Maribor isn’t the capital, so social life is probably a lot more boring there? Absolutely not! Au contraire, if you decide to be adventurous and spend your exchange in Maribor, you’re in for a treat: one of the best and biggest multicultural festivals in Europe takes place there every July. With that selection of great events available, it’s impossible to be bored! At least two weekend trips will be organized – one to the seaside, and one to the mountains in the north of Slovenia. Both will be full of fun, beautiful nature, fascinating cultural attractions, new insights into our dear country, crazy adventures as well as swimming and lying in the sun, and of course partying with your fellow exchange students all night long. United Social Program weekend in July is a great opportunity to meet the students on exchange in the other town as well.We strongly recommend you join in! The first and the last weekend of the month can be quite chaotic with everyone flying in and trying to get acquainted to new surroundings//leaving and packing frantically, so we’ll go easy on you. And if you still have a weekend off and can’t think of anything to do – of course Slovenia is the most beautiful country of them all, but why not take a trip to Venice, world-famous Italian city on water, or Vienna, the majestic old capital of Austria, or perhaps explore the charming coastline of Croatia? They’re all just a few hours’ drive away from Ljubljana! Do I have to pay extra for all these activities? Yes, so keep in mind to save up some extra money for your weekend trips!